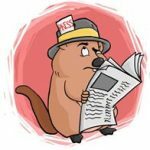 NO CARBON ALLOWED: Sen. Alison Clarkson, D-Windsor, presents a bill that would ban construction of any new “fossil fuel infrastructure.” The bill seems to apply mostly to natural gas pipelines, currently one of the most viable sources of home heating. 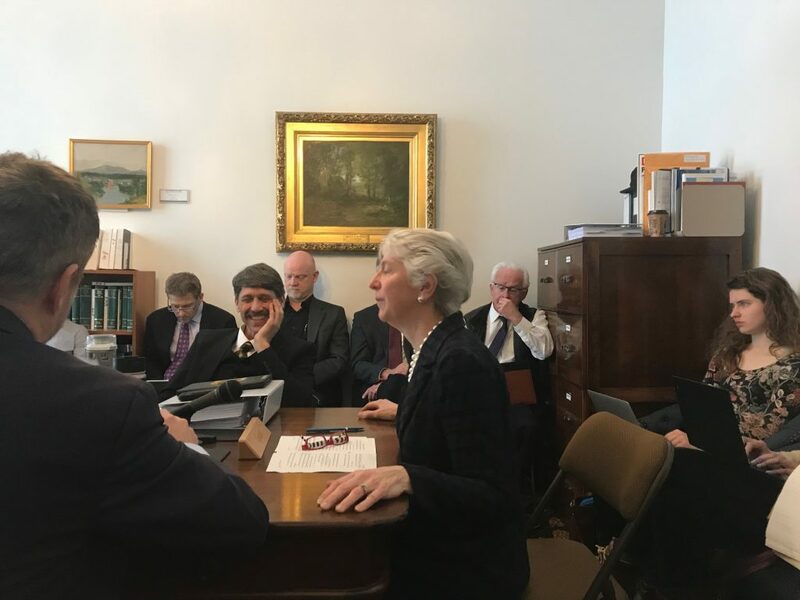 MONTPELIER — Earlier this week, Sen. Alison Clarkson, D-Windsor, gave the Senate Natural Resources and Energy Committee a run-down on a bill that would ban any new fossil fuel infrastructure in Vermont. The bill prohibits construction of anything that moves carbon-based fuels around — in particular, natural gas pipelines. 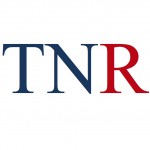 A similar bill, H.51, was introduced in the House this week. Like most green energy policy, the bill is all about “addressing climate change, one of the greatest challenges of our time,” Clarkson told the committee Tuesday. “Any further investment in such [fossil fuel] infrastructure would be irresponsible,” Clarkson said. Sen. Corey Parent, R-Franklin, asked how ongoing infrastructure repairs might be affected by this bill, noting the language prohibits reconstruction. Clarkson said that is something the committee must consider. She added if the repair mitigates a safety risk, then it should be allowed. Parent noted there are also methane digesters or “renewable natural gas” which takes existing methane emissions from landfills and farms and converts it into energy. Clarkson said she’d need more information on such technologies. The Vermont Climate Caucus, a group including at least 60 lawmakers, is the driving organization behind the House and Senate infrastructure ban bills. Matt Cota, executive director of the Vermont Fuel Dealers Association, recently told the House Energy and Technology Committee why fossil fuels still play a critical role in the region’s energy infrastructure. He said that when natural gas was exhausted during a prolonged 2018 cold-spell, it was conventional fuel oils that saved the day for electricity and heat. In all, 83 million gallons of fuel oil — all that Vermont uses in a whole year — was consumed in New England in just 15 days. “That was not an insignificant amount of oil they had to use, primarily because the natural gas industry didn’t have enough capacity in their pipes to feed the power plants on the cold days when electricity and heat demand was at an all-time high,” Cota said. He said he opposes any bills that inhibit new infrastructure. He also noted that while the language in these bills makes an exception for underground tanks, it does not for above ground tanks. 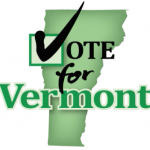 Beth Parent, communications and brand manager for Vermont Gas, issued the following statement on the two bills. The bill would likely be the end of any expansion of the natural gas pipeline that runs through Vermont’s borders down to Middlebury. It may be good political optics, but I think it is not good economics and CO2 policy to restrict the use of low-cost, clean-burning, natural gas and propane in Vermont and New England. It may satisfy the wishes of RE entities, but it would just place another extra, unnecessary, burden on already struggling Vermonters in a near-zero, real-growth economy. Also see my heat pump articles which show at least 80% of all Vermont buildings are energy hogs and thus unsuitable for heat pumps. They would displace, on average, only about 34% of fuel oil, with the other 66% supplied by the traditional systems. According to the VT-DPS survey of about 140 existing installations, the average energy savings were $200/heat pump/y. Only 1% of Vermont buildings are highly sealed and highly insulated, say 17,000 Btu/h at -20F for a 2000 sq ft house. Heat pumps would displaced 100% of the fuel oil for such a house. I highly recommend you read these article to be up to speed on the efficacy of heat pumps in Vermont. I wonder what the pseudo-logic is that banning underground fuel tanks will save the earth. Underground, they are more subject to corrosion, and leaks will not be detected promptly. Does it mean that in-basement oil tanks would be prohibited too? That would be a gray area I guess, since they would be below ground level, but not buried. Lawyers will have fun with that. This makes no sense and looks like another regulation from the mandarins who want to regulate us to death, while pretending it’s “for the children”. These legislators should be in a mental hospital, shot up with thorazine, or take themselves underground until the end of time. Obviously Clarkson is just another over educated Leftist flatlander (maybe we should call them RatLanders) devoid of any common sense, and can’t wait to throw some control down on you peons . If said idjit want’s to do something about gorbulwhine er warming maybe she should move to India or china where there not the cleanest state in the union. This is a hoax, and these legislators are useful idiots, acting like robots, servants of Technocracy, Agenda 21 (now agenda 2030), “smart cities”, etc. The goal is to take everybody off the land, except the rich of course, force us into cities, and whittle the world’s population down to 500 million people, and have an earthly paradise for the super rich. Automation and robots will fill the positions that used to need us “little people”. Not that long ago, I would have said this is just science fiction, but the plans and the technology already exist. Useful idiots like these legislators will be exterminated too, when they are no longer of use. This is no joke; it is a fight for the survival of humanity. Read this book and you will understand. Looks like a book well worth the read. I noticed a bulk buy price from the author’s site of $10 @ in qty of 50. Buddy up with some like minded neighbors and do it; spread them out to the area libraries, etc. Another worth considering is “Behind the Green Mask”, by Rosa Koire, which lays out in detail the NGOs pushing Agenda 21, their tactics, and how to counter and defeat them. where the Videos tab lists a pile of relevant clips on the topic. One in particular deals with the rejection of “sustainability” by the voters next door in Rochester NH. They are all packed with info. I just now dug out my sole surviving copy and, scanning through, realized how much of it had slipped out of memory. Time for a re-read, it’s content rich. I can’t recommend it highly enough. It explains where “Technocracy” comes from, a philosophy and plan based on the idea that a few smart people know better than all the rest of us, and must do what they can to run the world, sovereign governments be damned. Easy to read, not too long, and illustrates the plan being implemented today. “Technocracy” is the name of the plan, in the works for decades, to take our freedom away, for the “greater good”. I haven’t read Rosa’s book, but it is on my list. Agenda 21 is Technocracy implemented. Everybody needs to know what they are doing, and what they think! The sad part is she’s serious. You can’t make this up. Wonder how she feels about the ugly solar farms on our beautiful pastures and those noisy wind mills on our pristine ridge lines. Another laughable piece of foolish climate change legislation. It kills me that these myopic people actually think passing these laws in Vermont with a population of 460K is really going to save the world. These people are unbelievable. Look at the picture closely. One guy looks like he’s laughing at her stupid proposal. In the back wall, a guy with his hand to his face—in disbelief???? Is there some support against stupidity? That’s senator John Rogers. He understands the hardship this will cause to the working vermont people. I was looking at the images. Given that the majority are Dem-Socialists, easily to assume. I would like then like to meet him as I would Sen Benning. Clarkson is from Buffalo NY area and supported over $300 million in spending since she got to Montpelier. What does she know about VT? It’s all feel good legislation without common sense. Has she interviewed people in her district about her desires to limit the methods of heating their homes-and most likely wants a carbon tax on them for burning wood. Coming from an wealthy attitude, she doesn’t know hardships. Another controlling Liberal. I expect she hasn’t researched possible ramifications. God, why did these people come here? 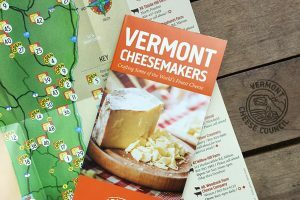 She’s from the Windsor VT area, the “Birthplace of Vermont”, where the Constitution of Vermont was adopted in 1777, marking the founding of the Vermont Republic—a sovereign state until 1791 when Vermont joined the United States. She knows nothing of VT history, freedom or it’s people. She’s out to make a name for herself. I hope she reads this. of there ” Genius ” mindset. They and all Liberals are the masters, just ask them ………………….. Idiots !! If I’m reading this correctly above ground propane tanks would be outlawed AND what does “this phrase does not include motor vehicles” mean that the fuel tanks for motor vehicles would have to be underground in the future – does anyone proof read this crap ? Good luck banning above ground propane tanks – will the State be paying propane tank police to drive around, trespassing on private property? Worse case, I’ll build a berm around my tanks and throw some dirt on it – voila – instant below ground tanks. VT progressives aren’t as intelligent as they’ll tell you they are. Inspectors will be hired to cover different areas of the state,to ensure compliance. We have thought of the possibility of using redundant teachers,laid off from the consolidation of school districts,as well as administrators from said schools to oversee the compliance officers.We really need to create a whole new compliance department.The inspectors could also do random trash can inspection,to make sure of recycling compliance. A lot of the funding would come through fines and permits. Good one, Mark. We all know nobody was laid off as a result of school consolidation. I suppose teachers and administrators will need a source of income when they retire – since we’re not pouring money into that pot. I take it that you have your tongue firmly planted in your cheek? Such lovely common sense replies here!! So when everyone to cannot afford or is fed up to death that we all leave the state, who will be left to carry out these ridiculous ideas??? This is an attack on Free Market Capitalism as well as the fundamentals of our founding and could very well complete the decent of our economic system to one of full blown Socialism if it becomes law. Pure unadulterated manipulation to gain total control instead of letting clean air and water technology develop in the free market of the private sector where it won’t harm Vermonters. Governments job is to protect our institutions from Lobbyists and Special interest not collaborate with them to disadvantage the people it supposedly represents! WE ONLY HAVE 12 YEARS TO GET TO 0 EMISSIONS! I can burn 60 cords of firewood in 12 years, not counting the cords to create maple syrup. What oh what will you do with all that ash? Here comes more legislation!!!!! So it’s cleaner to haul carbon based fuels by truck than by pipeline? Who would have thought it, considering roads, tires, fuel for trucks and the time/labor element, particularly in heavy winter snowstorms. It’s a good thing we have politicians who can figure these things out for us. This is OUR 21st. century industrial revolution.We must get our emissions to 0 within 12 years or it’s bye bye planet. A.O.C. said next we must ban together to ban air travel,including military interventions.These jets are blasting out totally unfiltered exhaust,unacceptable! We could send AOC and each of her supporters eight feet of rope, which would get their emissions to 0 immediately. Will we still be able to use matches? Sure you will, just as long as you use them to start a carbon neutral fire……. Due to bills like this and others in this state I’ll be leaving the state I was born in, grew up in, and loved. Once again it’s an easy and feel good bill to pass with huge negative effects on the state and absolutely no idea how to deal with the long term consequences.